Whether you are starting a new business or wanting to expand an existing you will need the available capital to do so. Borrowing money is probably the most logical thing to do. But securing a loan is not always easy because it is conditional based on your company’s credit score. A credit score that is too low may put you at risk of never securing a loan. Here are a few steps to help you improve your business credit rating and secure the lending your business needs to succeed. Limit your Credit Usage – The easiest way to improve your credit score is to keep your debt levels low. The less credit you utilize, the higher your credit score will be. You can take some immediate steps to ensure your ratio never rises too high. Instead of waiting until the end of the month to pay off your credit card, try to make several payments over the course of the normal 30-day billing period. Also, avoid using one line of credit for all purchases because too much debt on one business card can show lenders you are an irresponsible spender. Limit Opening & Closing – Opening new lines of credit can have a small negative effect on your credit score. Opening a few different accounts at once can lower it significantly. You’ll want to avoid opening any new accounts if you’re going to be making big purchases in the future, like plant and equipment or motor vehicles. Closing accounts can also negatively affect your credit score. It is better to have multiple unused accounts open than to start closing some of them. If it is necessary to close any accounts, make sure you close the newest one with a positive payment history. Even though the account will be closed, the history of that account will remain with you for the next 10 years. Pay on Time – Make a habit of paying all of your payments before the due date. Missing one payment could lower your credit score significantly if the lender chooses to report you. Making late payments can also result in late fees which can add to your debt levels. Paying off the entirety of your debt may make your credit score dip in the beginning, but in the long run it can be good for your credit score. Constantly Check In – Now that you know how to keep your credit score up, keep tabs on it by checking on the Irish Credit Bureau site There may be small errors that appear on your credit report that can be corrected to keep your credit score from falling. 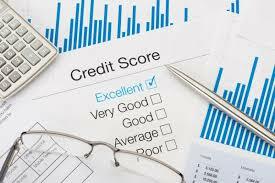 Constantly looking at your score and knowing where you stand will significantly help you in the climb to raising your credit score. Information about risk management, Credit Ratings and Scores can also be obtained through Dun & Bradstreet. If your business is in need of additional cash flow why not talk to our team at Celtic Invoice Discounting. We are the largest independent financial provider of transactional based invoice discounting in Ireland. We have been doing it for over 20 years – helping clients build bigger and better businesses in Ireland. Give us a call on 01 230 0866 for a confidential, non-committal conversation.